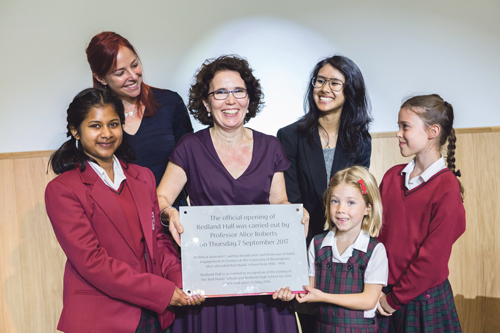 Redmaids’ High School celebrated the official opening of its new assembly hall and performance space on September 7 with the help of one of its most celebrated alumnae, Professor Alice Roberts. Alice, an author, broadcaster and evolutionary biologist, showed both a personal and professional interest in the progression of her old school – Red Maids’ – which recently merged with Redland High School. Noting how evolution is key to any thriving community, she expressed genuine excitement to be present for the launch of Bristol’s newest – and oldest – girls’ school. Speaking fondly of her time at the school between 1984-1991, she said: "I'm really delighted to be helping to open Redland Hall, and to celebrate the start of a new era as these two brilliant Bristol schools come together." Headmistress Isabel Tobias thanked the many guests who had gathered to celebrate the opening saying: “A great many people have helped to make this new hall a reality. Redland Hall is a brand new, purpose-built assembly and performance space, with further classrooms, music rooms, offices and a modern exhibition space. It replaces the 1970s-built Denmark Hall, which had already been earmarked for redevelopment before the merger and to which supporters of the school donated hundreds of thousands of pounds towards the rebuilding cost. Whilst the celebrations today took place in Redland Hall, they commemorate a number of remarkable developments at the school over the past year. 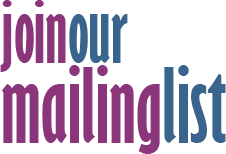 These include the opening of new classrooms and an adventure playground at Redmaids’ High Infant & Junior School and the recently announced purchase of the 16-acre Cribbs Sports & Social Club.